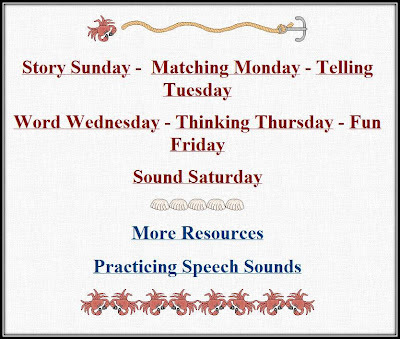 I spent the better part of this weekend updating my speech and language web page along with a new page for summer practice. My web page, Using Computers to Enhance Language Learning, has been available on the Internet since 2004. My new addition, Six Weeks of Summer Interactive Speech and Language Practice Activities, is something that I have wanted to do for a while. The end of the school year was always such a busy time. In addition to packing, cleaning, therapy, IEPs, and progress reports, I put together summer packets for students. I usually added a calendar, speech and language activities, reading lists, and a few games for travel. It would have been nice to find resources all in one place. My new web page contains daily interactive computer activities, printable resources, links to reading lists, app lists and activity calenders, and tips for parents. I hope that this site saves you some time and makes those last few weeks of school a little less stressful.